Counseling is a process of change. A Safe Place To Heal is a place for you to explore your life without judgment. Some of us have never had such a place. Our Counseling Services provide such a place. 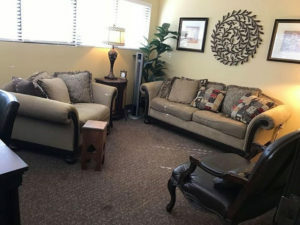 Issues that are often addressed in individual counseling are: self esteem, relationship & dating skills, relationship breakup/divorce recovery, social isolation & loneliness, eating disorders, assertiveness training, career decisions, grief & loss, difficult work relationships, feelings of depression & hopelessness, life transitions, faith issues and long distance relationships. Individuals also come to improve their relationship skills and learn how to have more satisfying relationships. Individual psychotherapy can be a tremendous vehicle for positive personal change as well. Our counseling services at A Safe Place to Heal are 50-minute sessions and tailored to the client’s needs. Usually, our clients feel comfortable with us from the start. Whatever the approach selected for any given client, we work to ensure that a relationship of mutual trust exists between the client and counselor, and that the relationship is characterized by support and encouragement. Please look over the information provided on the other pages of this website. Please feel free to contact us at 972-569-8255 or info@asafeplacetoheal.com about our Counseling Services.